Another week, another beer mail! 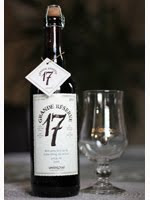 This week the folks at Unibroue in Chamblay, Quebec (a big thank you to Martine) were kind enough to send out a bottle of their 17 Grande Reserve along with a nice tasting glass. 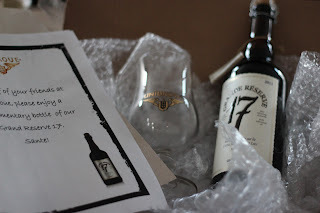 Look forward to reviews of many of their products that I have been cellaring in the coming months.